We have a lot of Great Danes that need saving and we would love your help. Saving Great Danes takes a village and we hope you will join ours. We are always looking for new volunteers to lend a helping hand. Following are a few of the volunteer positions that we have available. It is easy to become a volunteer for RMGDRI, just complete a short online application. If one of the following job openings has caught your eye just mention it on your application and we will be in touch. Are you ready to help save Great Danes? Rocky Mountain Great Dane Rescue, Inc. is in search of a Volunteer Social Media Specialist to generate excitement, communicate with the public, and develop a strategy to ensure that our efforts to help Great Danes are successful across our multiple social media channels. Helping us improve our social media strategy. Valuable experience for your resume. A million karma points for saving animals! Rocky Mountain Great Dane Rescue Inc. is seeking an experienced Volunteer Marketing Coordinator to generate excitement, communicate with the public, and develop a strategy to ensure that our efforts to help Great Danes are successful. If you’re perfect at reaching your audience, spurring them to action, and then creating the perfect follow-up plan, WE WANT YOU! Collaborate with our web team, social media coordinator, events team, grant team and fundraising team to promote our mission. And more! We’re only limited by our imaginations! A great attitude and desire to help animals. At Rocky Mountain Great Dane Rescue Inc., we are looking a motivated individual who loves to fundraise for sweet causes. If you are an experienced fundraising coordinator who has the dedication and skills to move us forward we would love to hear from you. Helping to develop and implement RMGDRI’s fundraising strategy. Rocky Mountain Great Dane Rescue Inc. is seeking an experienced Donor Management Coordinator to help in the identification and cultivation of mid to major donor prospects to ensure that our efforts to help Great Danes are successful. Rocky Mountain Great Dane Rescue Inc. is seeking a few bloggers who understand how to research and provide fresh original content that generates excitement and ensures that our efforts to help Great Danes are successful. Are you a storyteller? If so WANT YOU! Creative blog writing experience preferred. Rocky Mountain Great Dane Rescue Inc. is looking for a Twitter Social Media Specialist to help us become Twitter Famous. We are looking for someone to help create fresh original content that generates excitement and ensures that our efforts to help Great Danes are successful on our Twitter account. Rocky Mountain Great Dane Rescue, Inc. is in search of a Follow up Specialist to help us follow our adopted Danes in their new lives. You will be assigned a dog(s) to follow over their first year in their new home. You will be there to support new owners to ensure a successful placement by reaching out on set intervals and connecting them with help if needed. At RMGDRI we are committed to our owners and their new Dane. • Writing and communicating via email with adoptive families. • A letter of recommendation. • Valuable experience for your resume. • A million karma points for saving animals! As a Follow up Specialist, you will be an important part of the RMGDRI team. Rocky Mountain Great Dane Rescue, Inc. is in search of an Application Processor to help us screen prospective adoptive families looking to add a Great Dane to their home. • Writing and communicating via email and phone with adoptive families and their references. As an Application Processor, you will be an important part of the RMGDRI team. 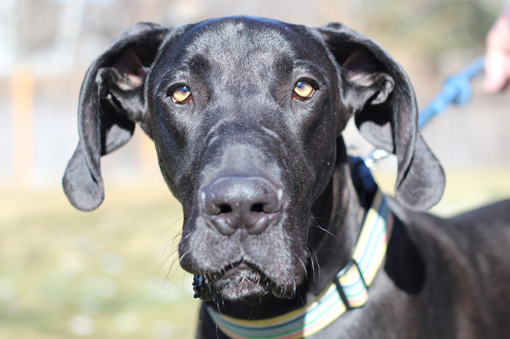 Rocky Mountain Great Dane Rescue, Inc. is in search of Home Check Processors to help us screen prospective adoptive/foster families’ homes looking to add a Great Dane to their home. The opportunity will be geared toward your strengths. • You will ensure that every new home has certain required elements. • You will visit homes in your area and meet new people. As a Home Check Processor, you will be an important part of the RMGDRI team. Rocky Mountain Great Dane Rescue, Inc. is in search of Transporters to help us deliver dogs from shelters, surrendering owners, and other rescues to their new foster family or from RMGDRI to their new adoptive home. Have a Dane friendly vehicle and love a good roadtrip? If so we would love to chat with you. As a transporter, you will be an important part of the RMGDRI team.